Reward money amounting to 100,000 pesos has been raised by anti-crime advocates and the family members of a slain businessman in Baguio City with the hope that the amount will help in the determination of the whereabouts of the two main suspects. It can be recalled that Larry Haya Sr., 65, was shot to death after being robbed in front of his home in Purok 5, Bakakeng Norte, Baguio City last month. Hearing the commotion outside of the house, Larry's brother Randolph went outside to see what's happening and was shot at by the suspects. Randolph was wounded in the hips but he survived the attack. Haya Sr. operated a money changing business in the city. On the day he was robbed and killed, he just came from his place of business. He was carrying a sling-bag containing cash in several currencies amounting to around 2.9 million pesos. 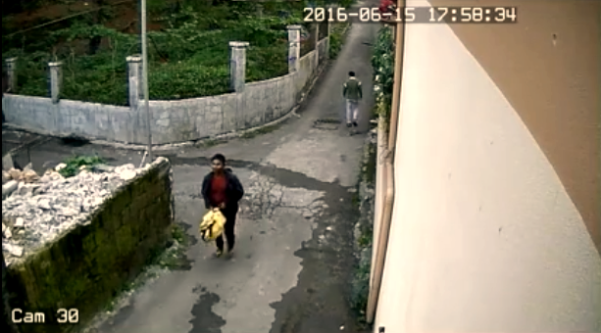 According to the Baguio City Police Office, the identities of the suspects have already been identified. The investigators were able to identify the suspects through the help of video footages taken by CCTV cameras installed near the area. The suspects are now the subject of a police manhunt. They are wanted for robbery with homicide and frustrated homicide. The CCTV footage was uploaded on Facebook by the BCPO PCRU. Those who have information on the identities and whereabouts of the suspects are urged to contact the following numbers: 09184690667, 09204222861, 09175897813, 442-1211/ 661-1483. You can watch the CCTV footage here.